Our trustees combine passion and insight with dedication and experience. A chance meeting with Sir Edmund Hillary in Nepal in 1981 inspired Graham to start fundraising for the Trust. After several years of fundraising Sir Ed introduced him to George Lowe and they, together with Mary Lowe and his father, created the Himalayan Trust UK in 1989. He has been the Chairman since 2015. Graham’s first career was in business as a founder partner of Permira, one of the leading global private equity firms. He then started a second career in international development in 2006, beginning with “retraining” with a Masters degree in Development Studies at SOAS. He has focused on the sustainable private sector growth in poor countries, including microfinance in India and Nepal, and in 2013 was appointed Chairman of CDC, the UK government’s development finance institution. He regularly visits Nepal and our partners on the ground. He is a visiting professor at INSEAD and lives with his wife and four children in Surrey. 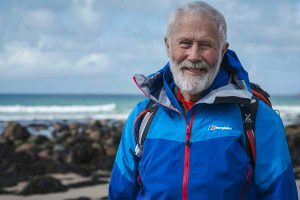 Born in Hampstead in 1934, Sir Chris Bonington attended Sandhurst and was commissioned by the Royal Tank Regiment, where he quickly discovered a love of mountains. He started climbing seriously in the Alps and later moved onto the Himalayas. He led the first ascent of the South West Face of Everest in 1975 on which Doug Scott, Dougal Haston, Peter Boardman, Pertemba Sherpa and Mick Burke reached the summit. Continuing to climb and explore, he wrote numerous books and made many TV appearances. He achieved a lifetime ambition in 1985 when he reached the summit of Everest himself. He is pleased to be involved with the Trust as he has huge admiration for the hardy and generous mountain people of Nepal. 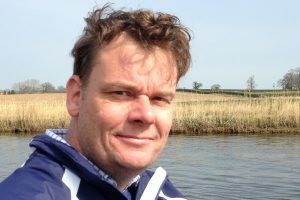 Sir Chris lives in Cumbria with his wife and has two sons. John runs his own business leading treks in the Himalayas and the wider world. 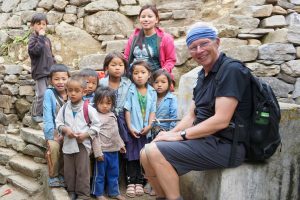 This follows a career in education where he established a Himalayan Club for the King’s School Worcester, taking Sixth Form pupils to the Nepalese Himalayas. In the early 90s he approached George Lowe to be a patron of the Club. In return John became a Trustee of HTUK. Since escaping the classroom he has taken on the responsibility of overseeing HTUKs education development programme. Through the years he has inspired his groups to raise some £300,000 for charitable causes. When at home, he lives with his wife in Upton-Upon-Severn. Kate is an assurance partner at PwC where her work includes the audit of listed and private entities and charities. Kate has a long affiliation with the Himalayan Trust UK through her father and uncle who have previously served as Treasurers. 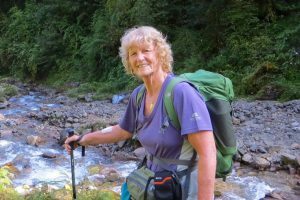 She has had an interest in Nepal since first trekking in the Annapurna region in 1990 and is glad to be able to add her own contribution to the work of the Trust in her role as Treasurer. Sasja took over from Mary Lowe as Trust Secretary in 2018 – a hard act to follow! She got involved with the Trust in 2016 whilst helping to organise their Annual Memorial Lecture which grew into looking at ways to improve the marketing and brand awareness of the Trust. Her background is in Marketing & Communications and she has worked for several financial services companies running re-brand exercises, communications projects and fund marketing. She started working part-time after the birth of her second daughter and has been doing charitable work ever since, particularly getting involved with (local) fundraising and improving communication flows. Rebecca is the first British woman to climb Everest, a feat she knows would have been impossible without the Sherpas. She is also the first British woman to climb the Seven Summits. 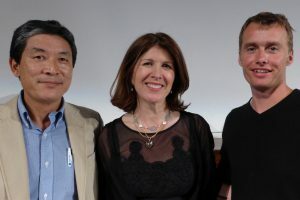 She was invited to be a Trustee of the Himalayan Trust UK by the then chairman George Lowe when sitting next to him at a dinner, and has been involved for some 25 years, taking the helm of Chairwoman herself from 2012 – 2015. 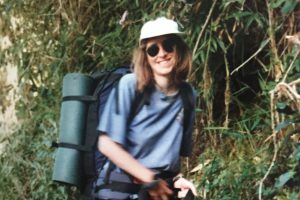 Her love of mountaineering was born when reporting on an Anglo-American expedition on Everest’s north east ridge for the Financial Times, in 1989. 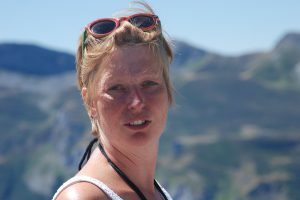 Writer, lecturer, visiting fellow at Ashridge Business School, and leadership coach, Rebecca also leads treks in Africa and the Himalayas. She lives on the South Downs with her partner and two daughters. Sue Leyden is one of Lord Hunt’s (leader of the 1953 Everest expedition) daughters and was taught by her father to climb in Fontainebleau, and later Wales and the Alps. She took part in expeditions to Greenland, Greece and Ethiopia, and travelled extensively whilst living in Chile for ten years. In 2008, she saw Everest for the first time, walking with two of her three sons to mark the 55th anniversary of the first ascent. Sue has a Master’s degree in Educational Psychology and is a Chartered Psychologist. She worked for many years for Nottinghamshire Education Department and was a teacher trainer and school inspector. Her particular interest is in teacher training and in the education and welfare of young children and students with additional needs. She returned to Nepal visiting schools in the Taplejung area (2013) and the Lower Solu Khumbu (2017). Debbie is a medical doctor, specialised in Public Health and with a particular interest in Global Health. After graduating from Auckland, she worked in Nepal at Shanta Bhawan (now Patan) Hospital and the Himalayan Trust’s Kunde Hospital. In the UK, she has been a Director of Public Health. Other experience includes academic, government, WHO, charitable and disaster relief work. This has been in Britain, Qatar, Samoa, New Zealand and Zimbabwe. As a Trustee, she leads on health developments within Taplejung. She is pleased to have this opportunity to contribute to the Nepalese mountain people, who greatly influenced her as a young doctor. Debbie has a son and a daughter, and lives in central London. Angus is a lawyer, formerly the Group Head of Legal for a leading UK based global asset management company, and, as from 2015, has relocated to Hong Kong to establish their offices in Asia. Having first taken steps into climbing and hillwalking whilst at boarding school in Perthshire, he returned to the outdoors in his late 20’s. Over the last three decades Angus has climbed and trekked in the Himalayas and Andes and, on many occasions, in the Alps and his native Scotland. 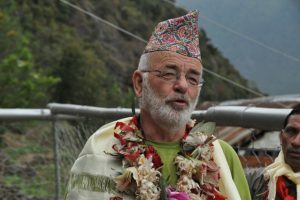 He first visited Nepal in 2001 and has returned to climb there on a number of occasions. Whilst appreciating and always hoping for summits his greatest enjoyment comes from the land and people he encounters on his trips. Kate is a GP in North Cumbria and first visited Nepal in 1976 as a medical student. Since then she has returned a number of times as a doctor, on the Everest Marathon and on various treks. She has travelled widely and has been fortunate to visit all seven continents but has always put Nepal as her favourite destination due mainly to the character of the Nepalese people and their rich culture. 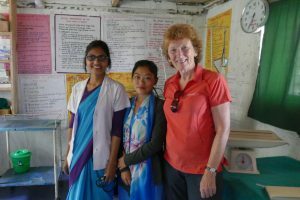 She became a Trustee of the Himalayan Trust in 2015 and has visited the Kanchenjunga region in 2016 and 2018 seeing at first hand the problems they have with primary health care in remote communities. Tim’s teaching career spans from Head of Classics at The Perse School, Cambridge, Deputy Head of The Royal Grammar School, Guildford to 16 years as Headmaster of King’s School, Worcester. His interest in Nepal was raised during a trip with John Walton’s Himalayan Club whilst at Worcester. He has experience of examining and writing A level papers and was for some years a trained school inspector. He served on the board of UCAS, was a member of the HMC/GSA Universities Subcommittee and is a Fellow of the University of Worcester. He retired as Headmaster in 2014 and became a Trustee in 2015 focusing on the Trust’s Education activities. He made field trips to the Taplejung area in 2016 and 2018 to support the schools and our partners there and to assess the progress of the educational programme. Rupert works in the City of London as a Reinsurance Broker, arranging insurance cover for insurance companies and Lloyd’s syndicates. He lived abroad growing up, but was educated at boarding schools in England and now lives in Hampshire with his wife and two sons. His involvement with HTUK stems from his father, George Band, who was a former Chairman and a member of the first expedition to climb Mt Everest in 1953. He is grateful for the opportunity to make a contribution to the ever improving provision of healthcare and education to the mountain people of Nepal. Mary is the only remaining ‘Foundation Trustee’ from the start of The Himalayan Trust UK in 1989. Trained as a Physical Education specialist, Mary enjoyed a career as teacher, Local Authority Adviser and Her Majesty’s Inspector of Schools. 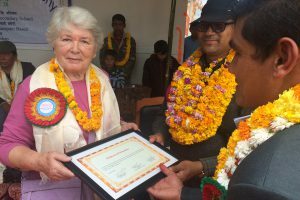 She was a driving force behind the need for a Teacher Training Programme which was started by Sir Edmund with the support of the global Himalayan Trust family. The concept was later extended to the Taplejung area by the Himalayan Trust UK. Mary was the Hon Secretary of the UK Trust for many years and has visited Nepal 14 times. Mary is the widow of George Lowe, founding Chairman, later patron of The Himalayan Trust UK, member of the Everest Expedition of 1953 and lifelong friend of Sir Edmund Hillary. She will continue to keep in touch with the work of the Trust through her new role as ‘Honorary 1953 Patron’.